For the past few months, a new ballet collaborative called the Black Iris Project has steadily gained momentum. Founded by choreographer Jeremy McQueen, the project brings together dancers of color from different companies to perform original works about the black experience. Tonight, Black Iris Project opens its debut season at New York Live Arts with three new ballets, including Brown Baby, a piece co-choreographed by McQueen and Lauren Cox, and McQueen's Madiba, based on the life of Nelson Mandela. The project, which also includes an educational component, was created in response to ballet's lack of diversity. 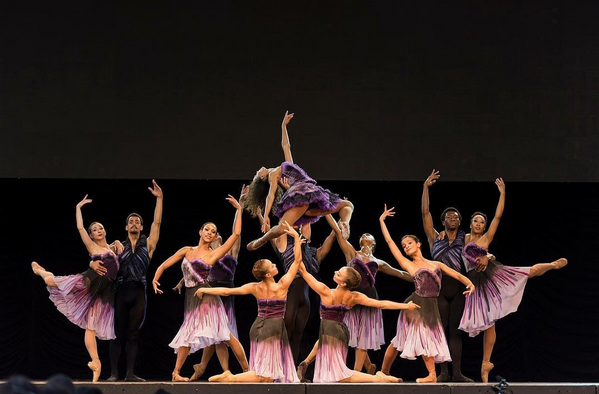 In a recent article in The Village Voice, McQueen stressed that Black Iris Project is a collaborative, not a company, and that its featured dancers are from all over the country. “It's important for them to stay where they are," he told writer Rajul Punjabi, “because if they don't clear the way for themselves in that company, who knows how long it's going to take for another black dancer to grace the ranks of those companies?" One of those dancers, San Francisco Ballet corps member Kimberly Marie Olivier (formerly Braylock), will dance the lead in McQueen's Black Iris, a ballet that confronts the particular challenges faced by black women. In an SFB blog post, she writes about premiering the work at a preview performance in June. It was her first stab at a principal role. “When my self-esteem started to ebb," writes Olivier, “I just had to keep reminding myself that this was for a cause that was bigger than just me." The Black Iris Project runs from July 27–28, 2016 at New York Live Arts. Check out the video of the making of Madiba below.